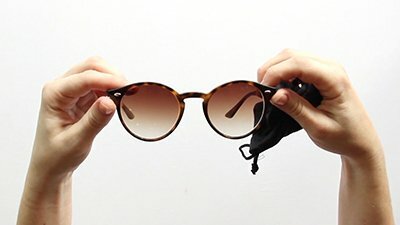 If you have plastic frames, you need to determine which type. There are three to choose from. 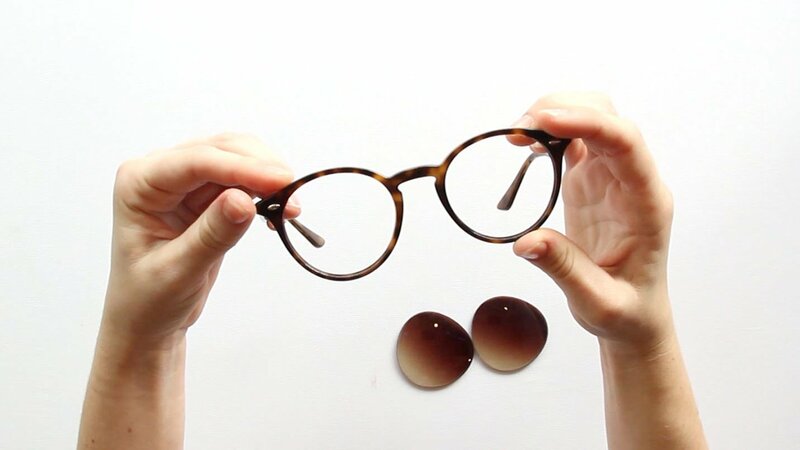 To remove your old lenses, turn glasses away from you. 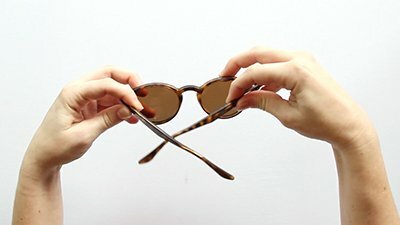 With one hand grip the thinnest part of the frame, with the other hand pinch the lens between your thumb and index finger. Pull the frame away from the lense, to allow room for the lens to pop out. Apply pressure to the lens and push the lens out of the frame. 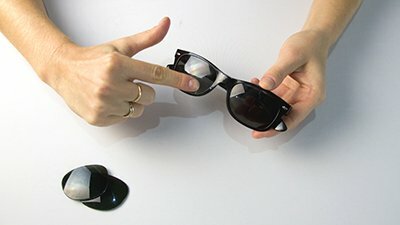 Repeat this step for both lenses. 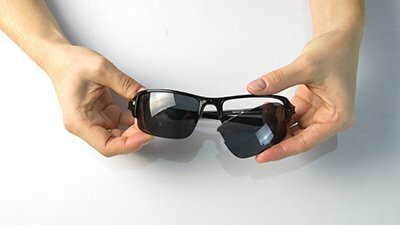 To insert your new lenses, turn your sun-glasses towards you. 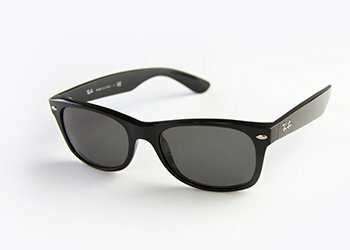 Line your new leneses up with the frame and click them into place from the front of the frames. You should hear a clicking sound. 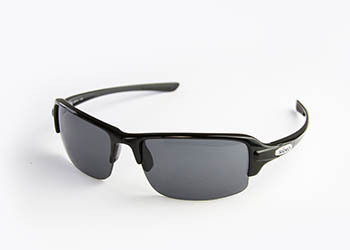 Do a safety test by running your fingers around the edge of the lens to ensure they are in place. 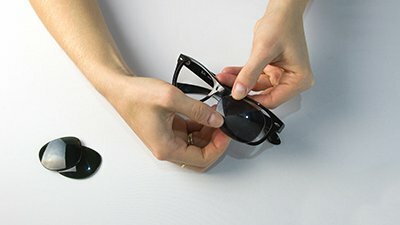 Finally give your lenses a clean with your new cloth and enjoy seeing clearly again with the Sunglass Fix. 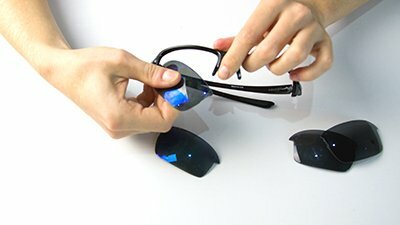 Because you're working with very stiff plastic frames and a firm glass lens, you may need to heat the plastic frames to make them more flexible. First, Locate the thinnest part of the lens. 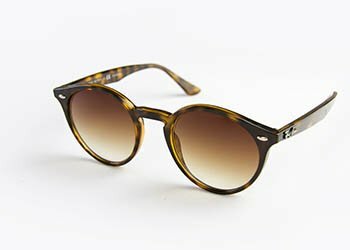 Turn the frames away from you and pinch the lens as close as you can to the thinnest spot. Pull the frame away from the lens whilst pushing and twisting the lens away from you. Insert your new lens from the front. Line up the edge of the lens with the frame, inserting the lens, arm side first. Use your thumb to work the lens into the nose area. 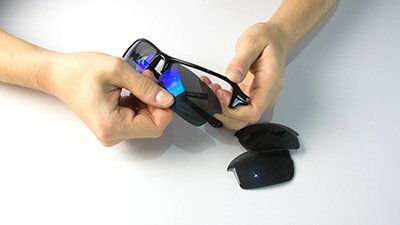 You will hear a clicking sound, indicating that your lens is in its place. 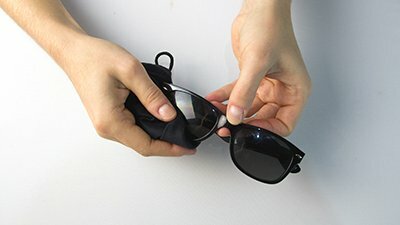 For Clip in Plastic sunglasses removing lens-es is relatively easy. 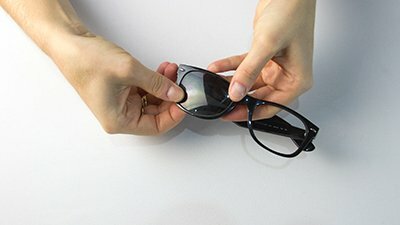 The first corner of the lens that needs to be removed is the corner closest to the nose pads. 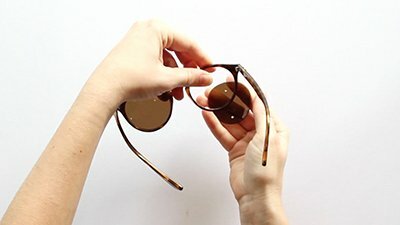 To install your new lenses, start with the side closest to the arm. Then push the second corner of your lens into the notch located near the nose piece. 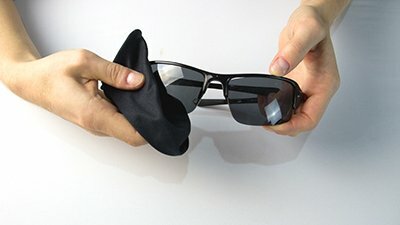 Finally give your lenses a clean with your new cloth and enjoy seeing clearly again with the Sunglass Fix.